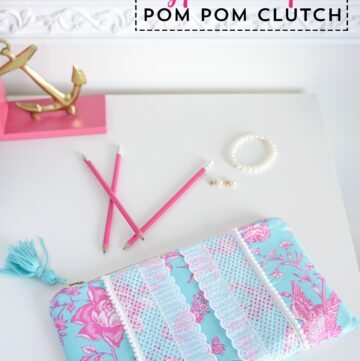 All of this cold weather has me itching for Spring! 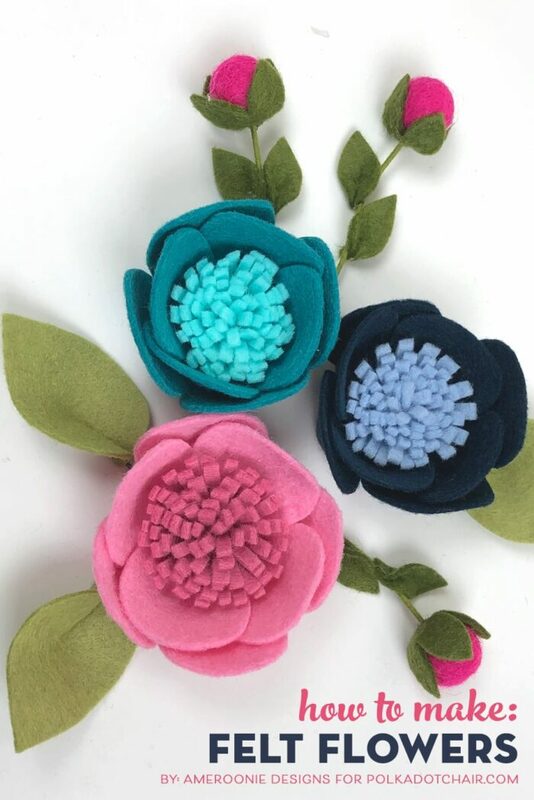 It may be cold now, but you can add a bit of “spring” to your week by creating these adorable felt flowers. 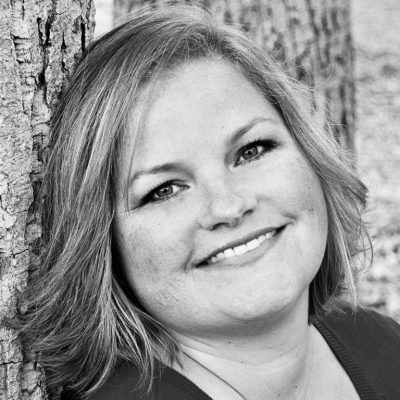 Amy from Ameroonie Designs is here with us today showing you how. 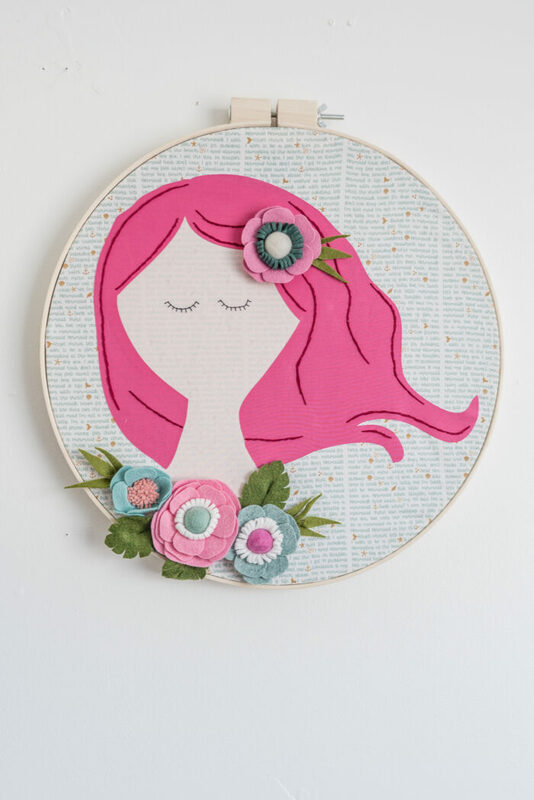 Felt flowers are one of my very favorite things to create. 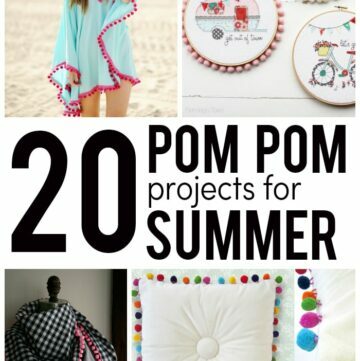 They are versatile, fun and quick projects I can make for just about any occasion! 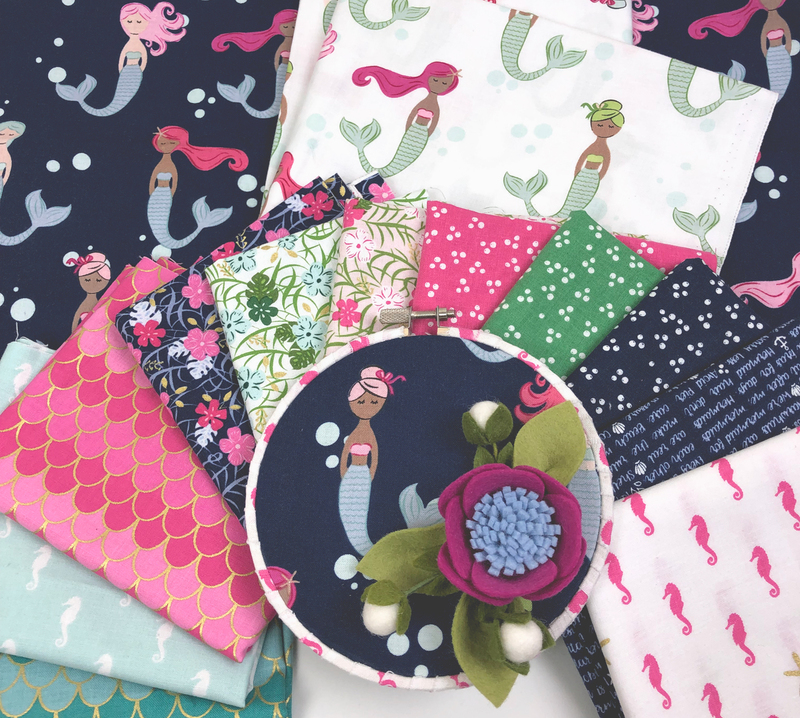 These felt flowers were inspired by Melissa’s new fabric- Let’s Be Mermaids. 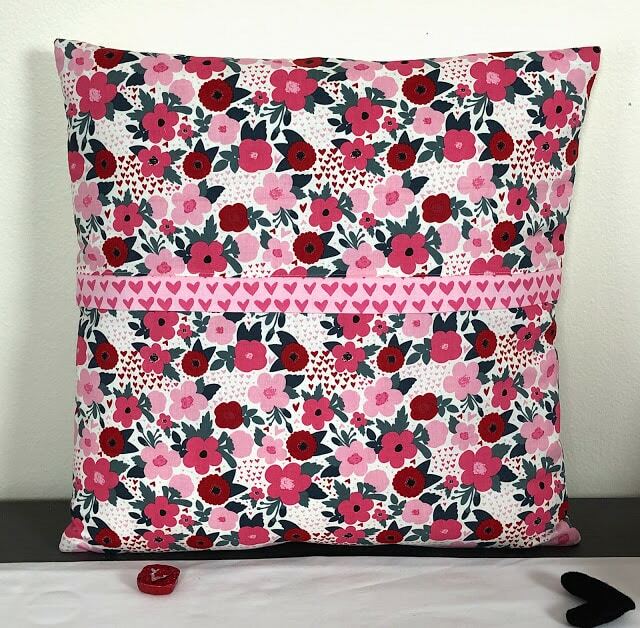 They are simple to create and can be customized for any project you are making! 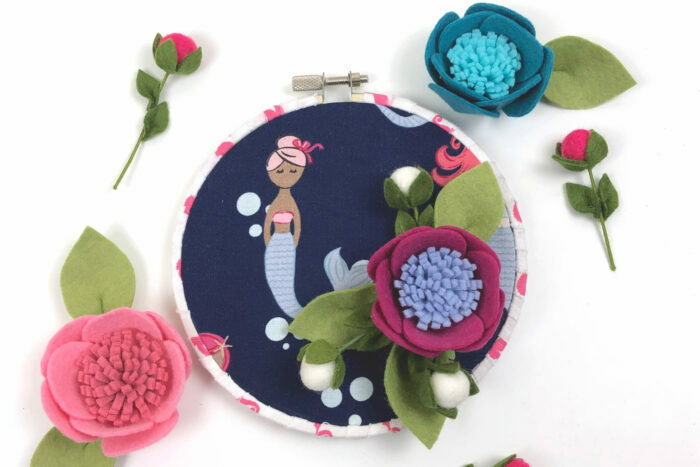 The pattern includes the pieces needed to create the simple little pom flowers as well, but today’s tutorial is only going to cover the steps for creating the focal flower with the fringe center- I’m calling them my Mermaid flowers. If you would like a video tutorial for making this flower, I have one up on my YouTube channel. 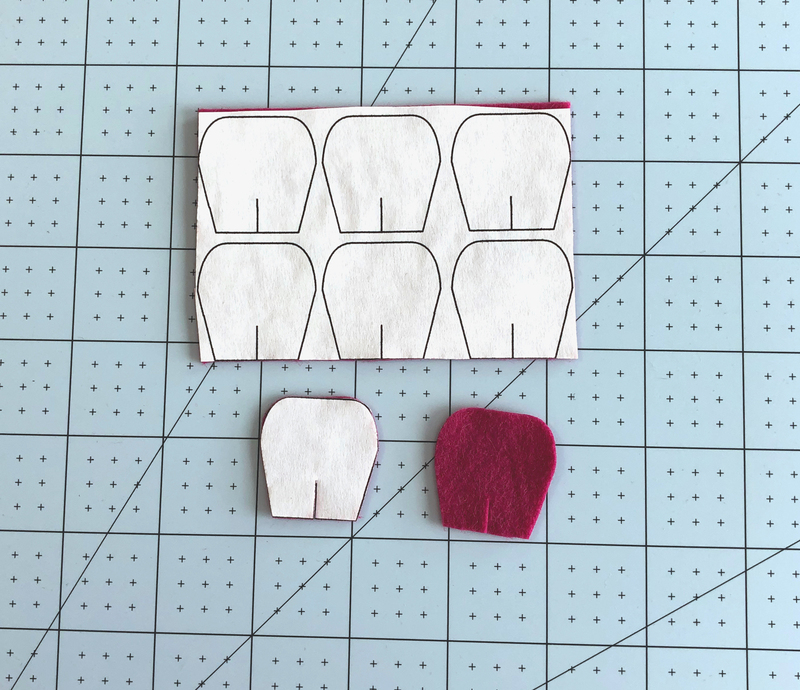 To begin, you will need to print off the pattern pieces. 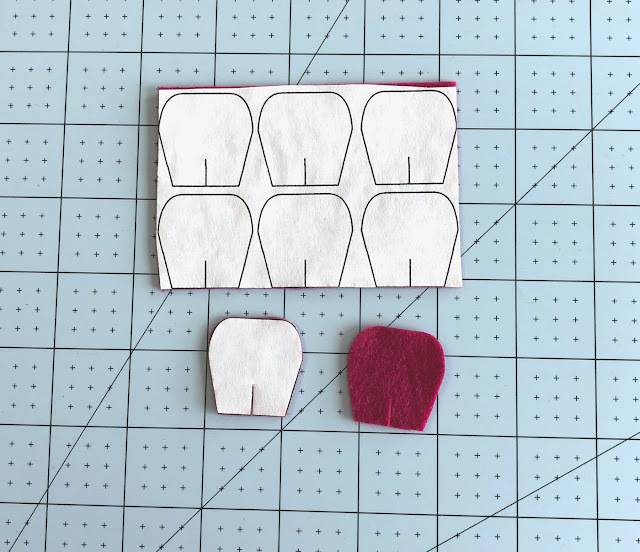 I like to print off any pattern I’m using for felt on freezer paper sheets, but you can print them off onto regular paper as well if you have a different method you prefer for cutting out felt patterns. Felt, in the colors of your choice- this pattern uses two colors for the flower (one for the center and one for the petals) and two different shades of green for the leaves. I typically use wool blend felt for my flowers. Wire- for the leaves and pom flowers. 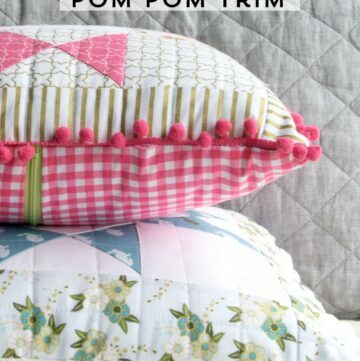 If you are adding the mini pom flowers to your project, you will also need 3 of the extra small poms. If you are using freezer paper, begin by adhering it to the felt, a couple of seconds with a hot, dry iron is all it takes. Cut out all your shapes, including the slits in the petals. Remove all of the freezer paper. 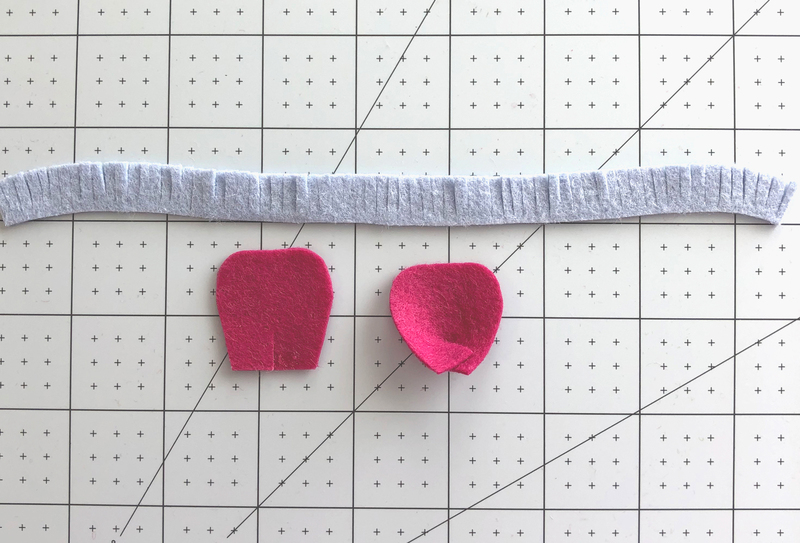 Use scissors to cut fringe along the length of the long strip of felt. Cut about 3/4 of the way through the strip. 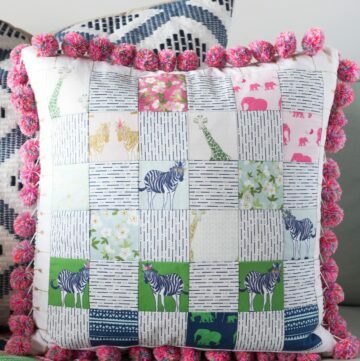 Place a small line of glue along the bottom edge of the fringed strip and roll it up. Keep the straight edge in line to create a flat bottom. 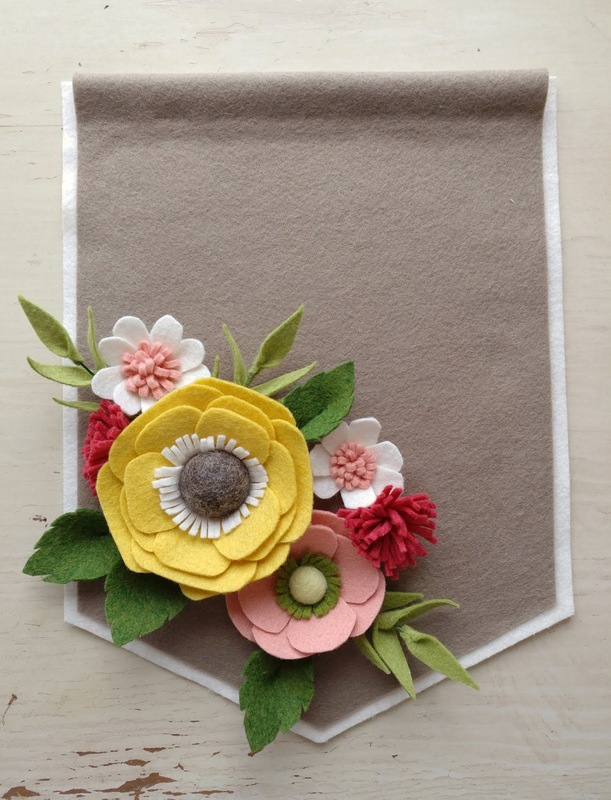 Take each of the petals and put a dot of glue on one corner next to the slit. Cross over the second side of the slit to create a cupped shape to the petal. Add a small dot of glue to the point of a petal. Adhere it to the bottom of the fringed center. Place the second petal directly across from the first. Add the next two petals to fill in the space between the first two petals. Repeat with the next four petals, offsetting them so they are between the first row of petals. Take a short piece of wire (1 1/2″- 2″) and add a very thin amount of glue to the very end (about 1/4″ worth) of your wire. 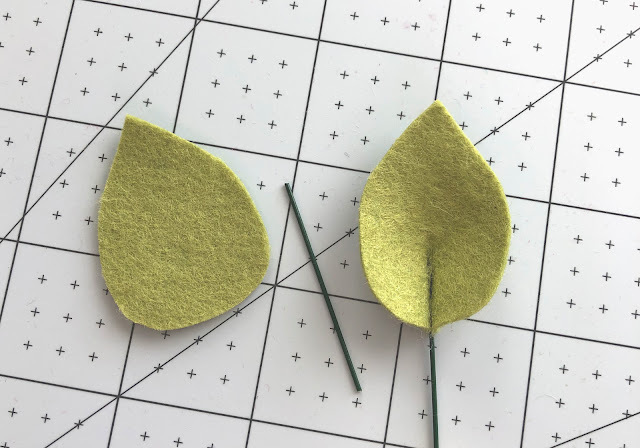 Place your wire in the center of the bottom of the leaf and fold over. Press the felt well next to the wire, I will use my fingernail to get right up next to the wire. 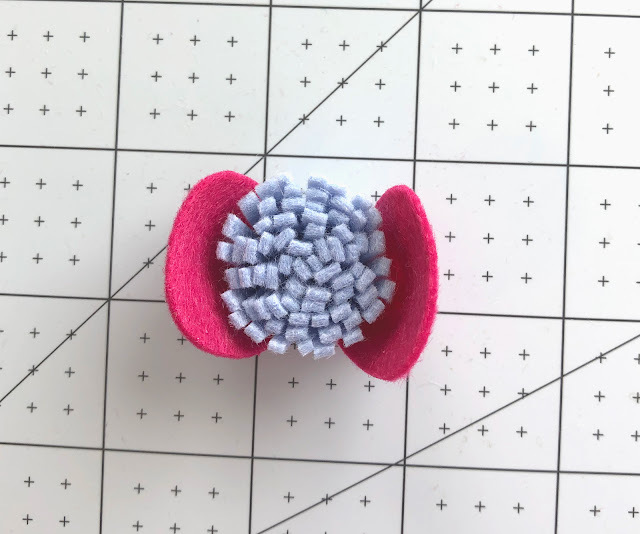 If you would like the tutorial for the felt pom flowers- you can find the YouTube video on my channel. 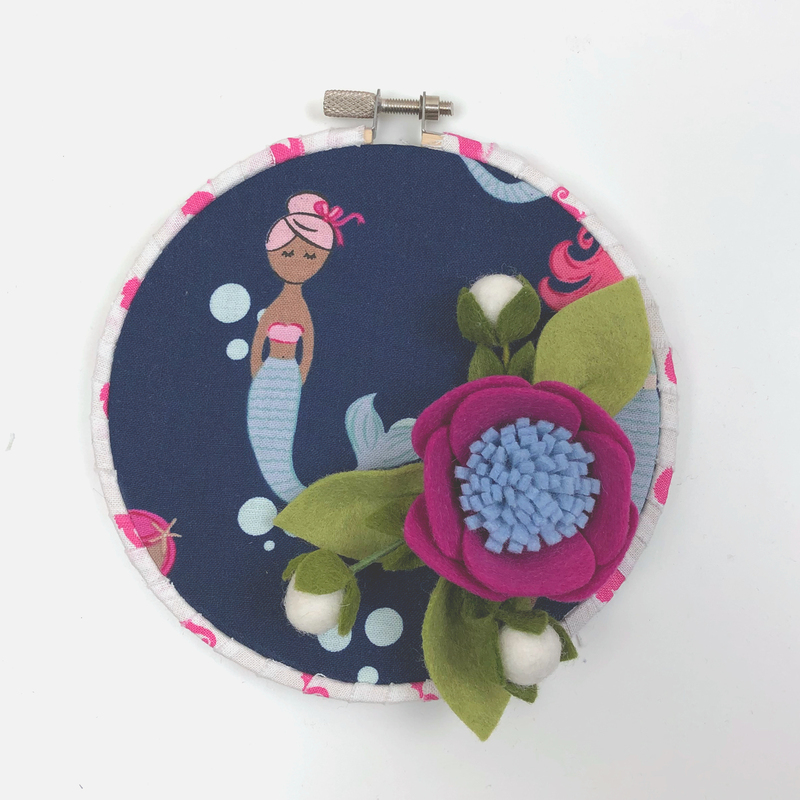 I placed a bit of fabric in a small 5″ hoop. I wrapped the outside of the hoop with a 1/2″ wide strip of fabric before placing the feature fabric in the hoop. Arrange your flower and leaves to your liking and add them to the hoop with hot glue. 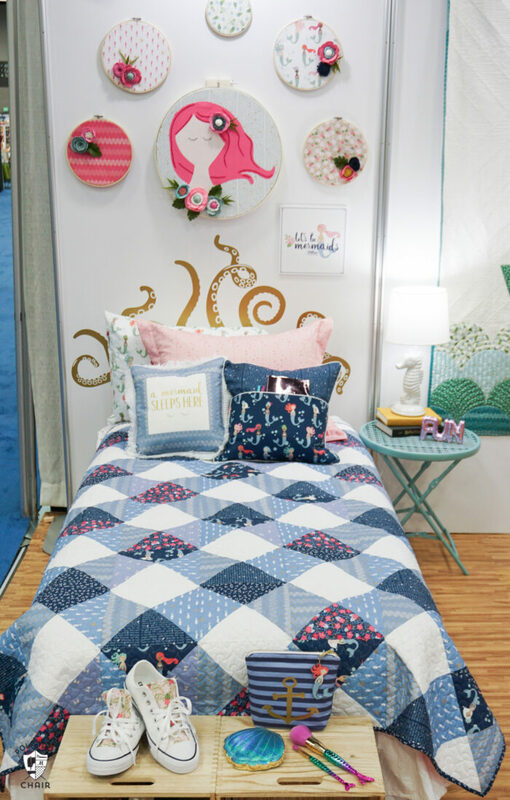 A whole group of these hoops with flowers would be absolutely delightful- as you can see in pictures of Melissa’s booth at Quilt Market where she debuted this fabric. I had the great pleasure of making all the felt flowers for her hoops and was totally inspired by her gorgeous fabric. 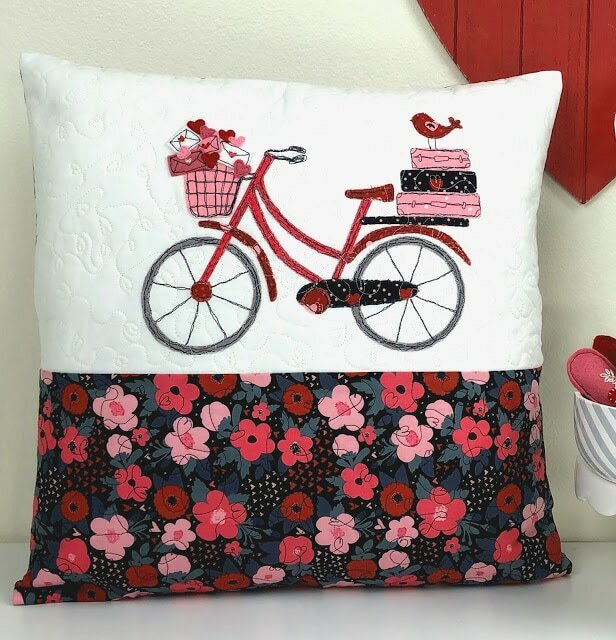 I hope you will enjoy making these fun flowers. 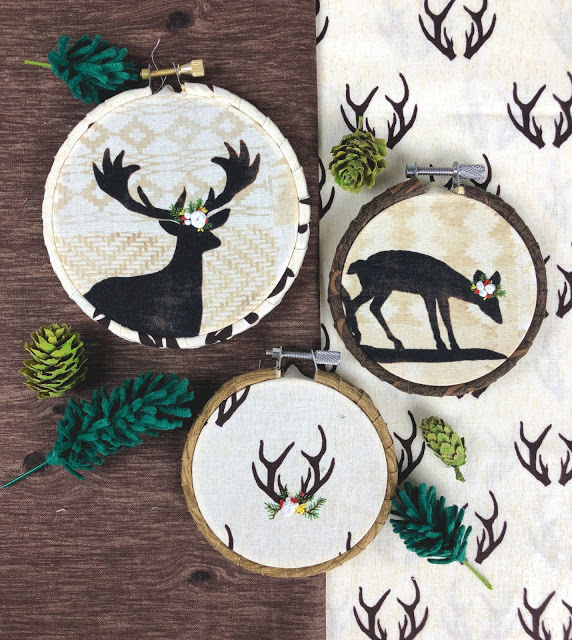 They are so versatile, I can totally see them being used in hair accessories, on packages and in many variations of home decor. And if you want even more patterns for felt flowers- I have the patterns for all of these flowers, along with the felt banner for this project available in my Etsy shop. Once you get started, it’s hard to not add felt flowers to everything you make! Like this sign, I made for this post from Christmas. 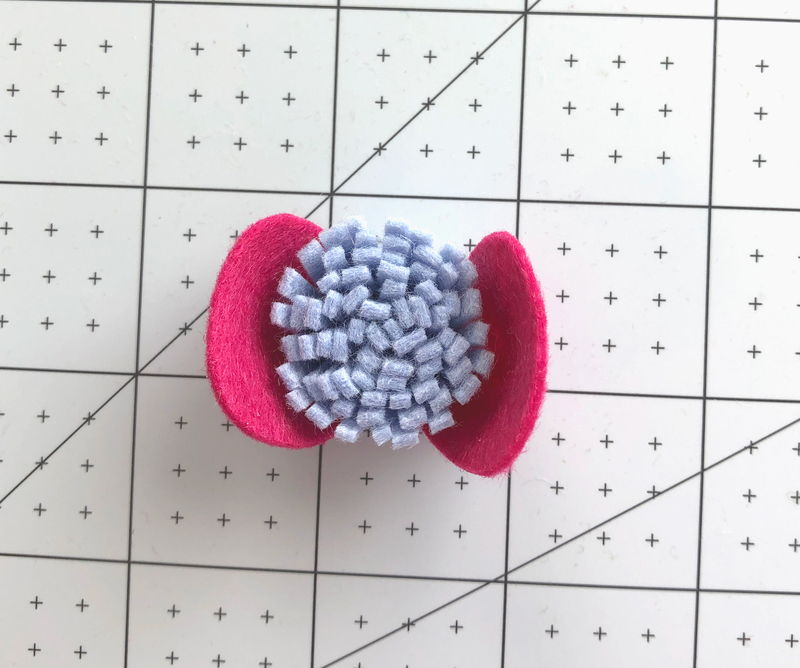 Have so much fun making all the felt flowers!